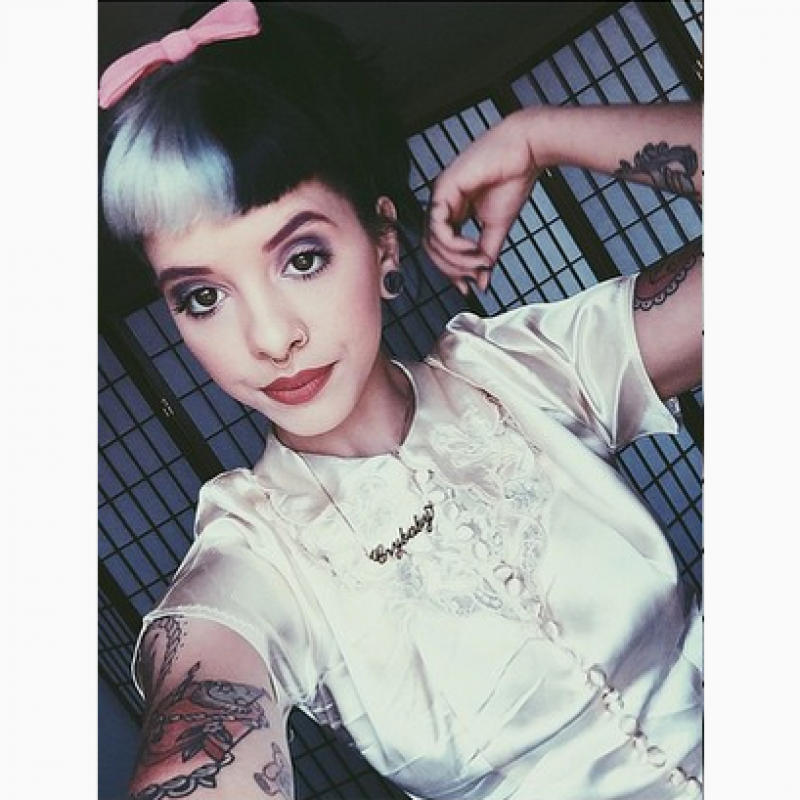 Get your hands on the new Melanie Martinez Crybaby Nameplate necklace, matching Melanie's own necklace! 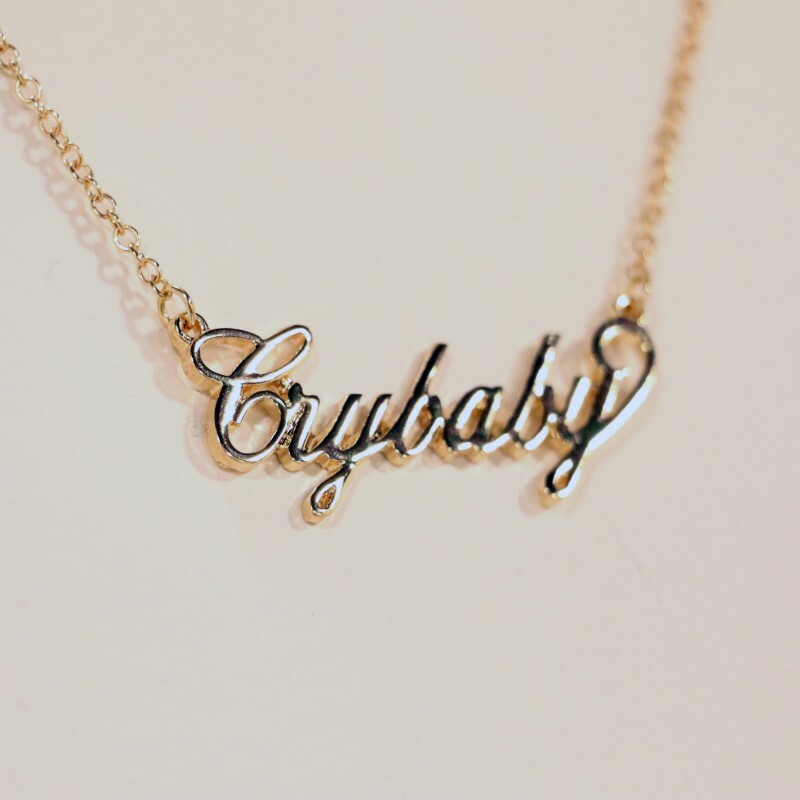 The necklace features “Crybaby” in cursive letters and an adjustable back clasp closure. Now you can cry if you want to.